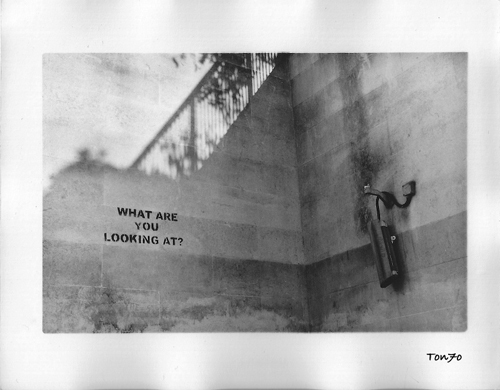 Vous êtes ici : Accueil / A7IK / What are u looking at? One more pic from the LDN serie *street talk*. The CCTV camera used to point at the stencil (?) – It’s on the now-blocked-way between Marble Arch and speaker Corner. Witty.